Remember when Chelsea’s biggest problem was losing at home to Manchester United in the FA Cup? That was two biggest problems ago. And not even a full week. When things spiral for the Blues, the spiral is torrential. They ping-pong from splendor to strife from season to season, undoubtedly a function of the minefield of motivation cultivated by a bureaucracy that hands power to players the same way it hands out shirt numbers. But when the clouds part – and they always do at Stamford Bridge – the achievements are such that Chelsea is one of the standard-bearing clubs of the Premier League era. So it’s important to place things in context. Yes, Chelsea exited the FA Cup at home against a bitter rival. Yes, Chelsea was handed a two-window transfer ban by FIFA. Yes, Chelsea had a very public airing of dirty laundry in the League Cup final. And yes, it all happened within six days. A stretch like that would leave most clubs in disarray. However, if it’s going to be noted that this kind of stuff frequently happens at Chelsea, it also should be noted Chelsea has grown exceedingly comfortable in it. Premier League champions in 2010. Sixth place two years later. Champions League winners six days after that. League champions again in 2015. Tenth place the following year. League champions again in 2017. Fifth place last spring. While it seems like the sky is falling at the moment, Chelsea is only three points behind fourth place in the league table, and has a game in hand thanks to its run to the League Cup final. And in that final, Chelsea actually acquitted itself quite well. The Blues are probably going to sack manager Maurizio Sarri by the summer, and they might lose their best player, Eden Hazard, to Real Madrid or some other giant sooner rather than later. Kepa Arrizabalaga will need disciplined, but he’s still history’s most expensive goalkeeper and the situation is far from irreconcilable. 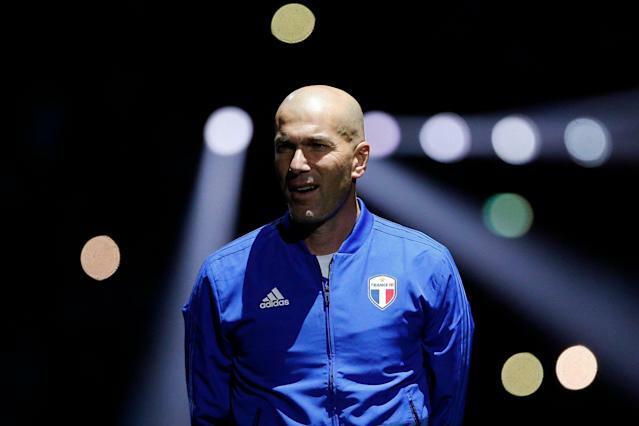 There’s a vast swath of rumors linking Zinedine Zidane with the Chelsea job, and enough smoke to believe it might actually happen. The former Real Madrid boss, who won three consecutive Champions League titles from 2016 to 2018, doesn’t have any prior affiliation with Chelsea. But he does have a glowing résumé, and his reputation as one of the finest midfielders ever instantly commands the attention of a dressing room, especially one potentially featuring Hazard. Consider the squad, too. World-class midfielder N’Golo Kante is still around. César Azpilicueta is one of the best fullbacks in Europe and a worth captain. Eighteen-year-old academy product Callum Hudson-Odoi is coveted by Bayern Munich and other big clubs. Jorginho is a proven playmaker and can succeed in the Premier League, provided his manager doesn’t utilize a system in which he’s man-marked into oblivion. And we really have no clue where Chelsea’s next star will come from. For all the spending, the club has plucked some of its biggest names out of relative anonymity. Hazard came from Lille. Didier Drogba came from France, too, with Marseille. Frank Lampard was a West Ham lifer, until he wasn’t. Who’s to say United States wunderkind Christian Pulisic won’t be the latest star when he arrives this summer? Point is, the groundwork at Chelsea is always ripe for rapid ascent back toward trophies. 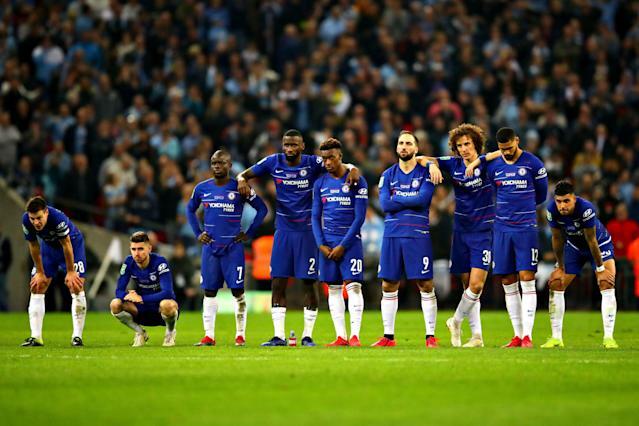 The Blues are now out of all competitions except the Premier League and Europa League and can pour their focus into those avenues back to the Champions League. It starts Wednesday at home against Tottenham. Wear that chaos on your sleeve, Chelsea. It’s what got you to this point. And it’s what will get you out of it.